*Price per user. Purchase of USC is required! *Price per user. Quantity must be 10 or greater. Note: Purchase of USC is required! *Price per user. Quantity must be 25 or greater. Note: Purchase of USC is required! To stay productive, users access corporate data from any number of devices, regardless of policy. To keep your business data safe and compliant, our encryption solution protects your information across all platforms. Know that your data is protected no matter where it goes: on personal devices, in network file shares or in the cloud. Includes support for Windows 8, 8.1 and file and disk encryption on Macs. Sophos SafeGuard Enterprise is the complete encryption and data protection solution-from computers to networks, and the cloud. We make it simple for you to manage your security policies and data protection effectively across your organization. You'll be ready to comply with data privacy laws and keep the wrong people from seeing your organization's confidential information. Get back the time you're spending on data recovery, even when your users forget passwords, lose their authorization or leave your organization. For central and unattended installation, use standard Microsoft Installer Packages to deploy SafeGuard Enterprise to your users' PCs without any end-user involvement. Implements and enforces a common, organization-wide security policy framework, providing you with a central point of management control in mixed IT environments. Transparently encrypts data on laptops, desktops and external media, protecting your users against unauthorized access, loss or theft of data. Ensures the secure exchange of data on removable media with your business partners and customers, even if they don't have a SafeGuard application installed. Encrypts files uploaded to cloud storage services from managed computers. We also include readers for opening these files on iOS and Android devices. Manages third-party security applications such as Windows BitLocker and Mac FileVault 2 drive encryption. Encrypts user data across workgroups. 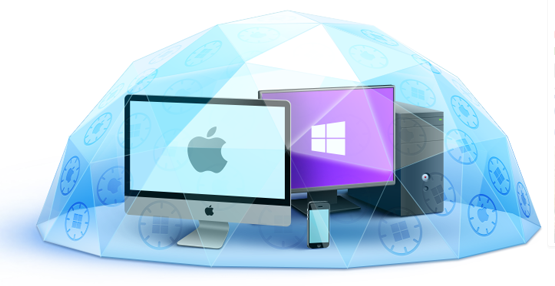 Protect your data on local drives and network servers, at both the file and directory levels. Download the Sophos SafeGuard Enterprise Data Sheet (PDF). *Price per user. Quantity must be 50 or greater. Note: Purchase of USC is required! *Price per user. Quantity must be 100 or greater. Note: Purchase of USC is required! *Price per user. Quantity must be 200 or greater. Note: Purchase of USC is required! *Price per user. Quantity must be 500 or greater. Note: Purchase of USC is required! *Price per user. Quantity must be 10 or greater. *Price per user. Quantity must be 25 or greater. *Price per user. Quantity must be 50 or greater. *Price per user. Quantity must be 100 or greater. *Price per user. Quantity must be 200 or greater. *Price per user. Quantity must be 500 or greater. *Price per user. Quantity must be 1,000 or greater. *Price per user. Quantity must be 2,000 or greater. *Price per user. Quantity must be 5,000 or greater.